Over the course of the four day weekend, there will be a plenty of activities for you to choose from. mountain. snow. ski. eat. wine taste. be merry. shop. bike. ride. snowshoe. magic. massage. yoga. Who knows what you might get into? We are teaming up with Rhein Haus Leavenworth, Leavenworth Cider House, Mana Restaurant, and bunch of other local businesses to bring all the fun! Join the group for as much or as little as you would like. This weekend is all about you. You do you! And guess what, your furry friends are welcome to come along for the ride. Say no more. Sign me up right now! Loge Camps Leavenworth couldn't be more aligned with the Just Add Yoga mission. They are all about community, making friends, and that perfect balance of activity and relaxation. Which of course, it what this weekend is all about! WHERE NEW FRIENDS WILL EVENTUALLY BECOME OLD FRIENDS! WITH FEATURES AND AMENITIES GEARED TOWARD SURFERS, HIKERS, & OUTDOOR LOVERS. Want to travel to Bavaria but not ready for a 10 hour flight? Come hang out with us in this beautiful mountain village! 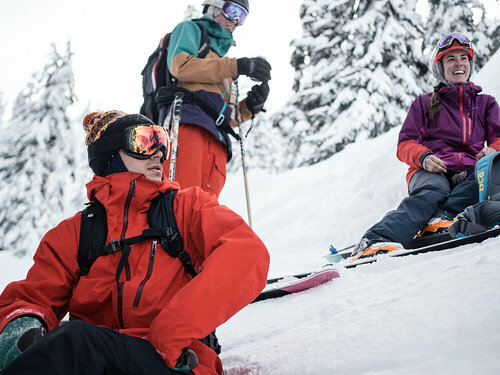 In winter, Leavenworth transforms into a magical snowy wonderland with skiing, snowboarding, snowshoeing, and cross country skiing a stones throw away. Leavenworth is basically an outdoor enthusiasts dream! Even better, we're walking distance to delicious beer, shopping, lederhosen, brats and sauerkraut in downtown! See what we mean? Sign us up. We want to be there right now instead of at work! Don't you feel more relaxed just looking at these photos? This is right up my alley. I want to sign up! You are welcome to do as much or as little as you like on this trip. Below is the general of itinerary for the weekend. There will be more added and/or times changed as the retreat gets closer. But, don't worry, we'll keep you up to date. Yes, please! I want to sign up now. Just Add Yoga, of course! But, Rosie will be leading all yoga. We love Yoga. We enjoy a good drink. We thrive on community. Not long ago, we despised yoga. No joke, we know what it's like to be the person who can't sit still or constantly wondering 'why is that teacher OMMMMing?' Luckily, we stuck it out and yoga turned our worlds upside down. It changed us and not in a Stranger Things kind of way. We had to create an avenue to share yoga with the skeptics like us. After many beers and brunches attempting to figure out a fun way to make our vision a reality, one day the light bulb went off. 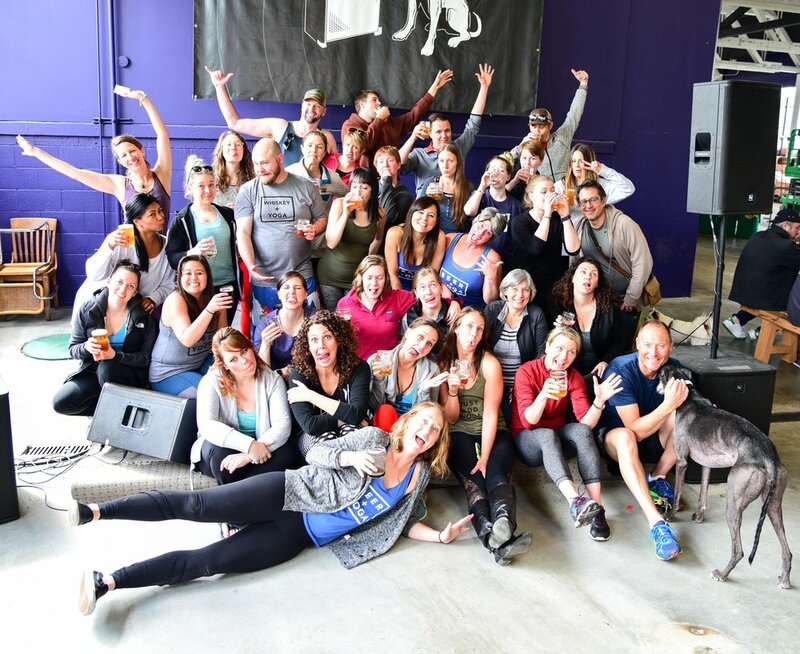 What better way to get people together than to combine two of our favorite things, Booze and Yoga? Our classes provide an approachable and casual way to practice yoga. We believe that yoga doesn't have to be so serious. You don't have to be able to do the splits or stand on your head. You don't even have to be able to touch your toes. We will be bringing this same attitude to the retreat. Join us for yoga at the Loge, whether it's your first class or your 1000th! Ok, you've got me. I am signing up now! This is one of the best parts of the retreat! You can opt to stay with friends (and make new ones) in the bunkhouse or shack up in a queen cabin. There is something for everyone! 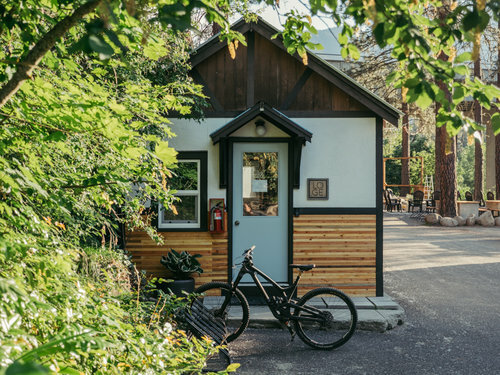 Most rooms have the option to be reserved on your own or shared with someone else, be it your spouse, friend, or another yogi traveling on their own. Rooms listed as shared means that you will share a bed with one other person. Two people max per cabin. Rooms listed as solo means you will have the space all to yourself. One person max per cabin. Prices listed are per person and cover the WHOLE retreat, not just the cost of the room! We are beyond stoked to be heading to LOGE Leavenworth, Feb 7-10! The shared house features two co-ed community style bunk rooms with 4 beds each. The community space in the house has a modern kitchen, comfy living room, bathroom, space for gear storage, and an awesome deck to grill on! (humans only...sorry fido lovers, no pets allowed!). Prices listed cover the WHOLE retreat, not just the cost of the room! 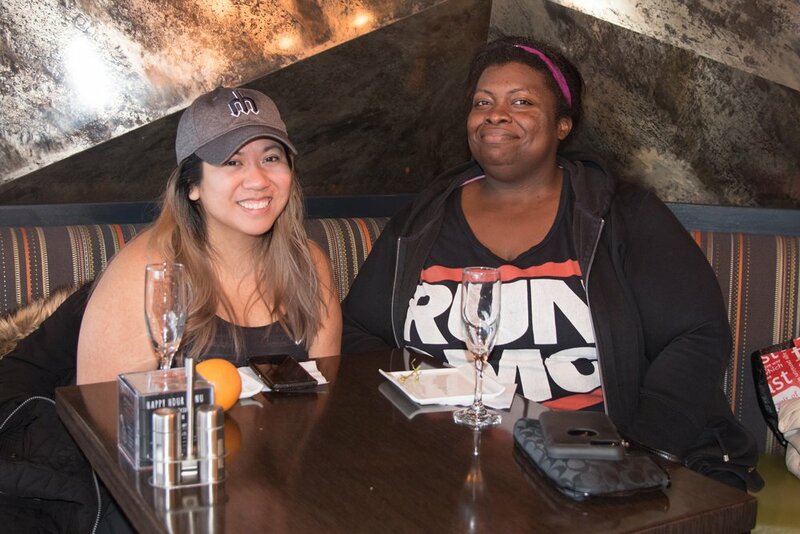 Join us for as much or as little as you like. You do you! These cabins sit directly above the Wenatchee River and are the perfect spot to post-up after a long day on the slopes. With an outdoor deck overlooking the river, comfy beds, and walking distance to the Leavenworth Beer halls what more could you ask for? Dogs are allowed to come along if staying in a cabin. Rooms listed as solo means you will have the cabin all to yourself. One person max per cabin. Rentals - You do get 10% off though! How do I get to the Loge Leavenworth? Why should I come to this retreat? Well, simply because it’s going to be laid back and fun, the perfect break! 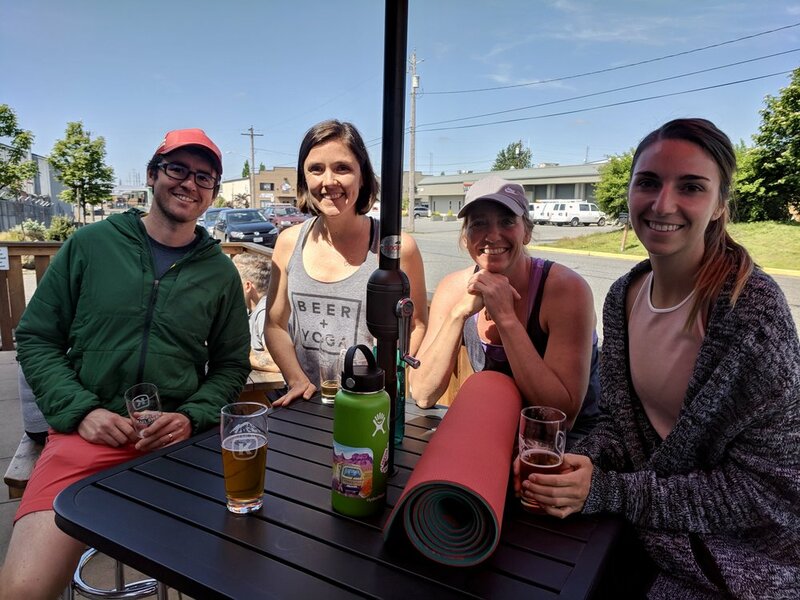 You will get to move your body with an amazing yoga teacher, get a massage and/or give snowshoeing a try, and share time with some really cool people over a glass of wine. Pure relaxation with no expectations! The weekend will be full of casual vibes and all things awesome.....it’s going to be really cool weekend! Guess I have to register now! We bet you have some questions in that big, curious brain of yours. This is a list of our most frequently asked questions. Questions beyond this list are always welcome! We welcome any questions that you have and are happy to help!